3 Blades with water mister kit. 2 speeds: Low 9,500 cfm. High 13,300 cfm. Equipped with water misting for extra cooling. 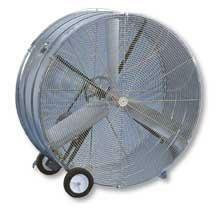 * Please call us with any questions about our fan floor 42 inch shop misting rentals in Oak Grove MO, Blue Springs MO, Independence MO, Lexington MO, Odessa MO, Independence MO and Western Missouri.